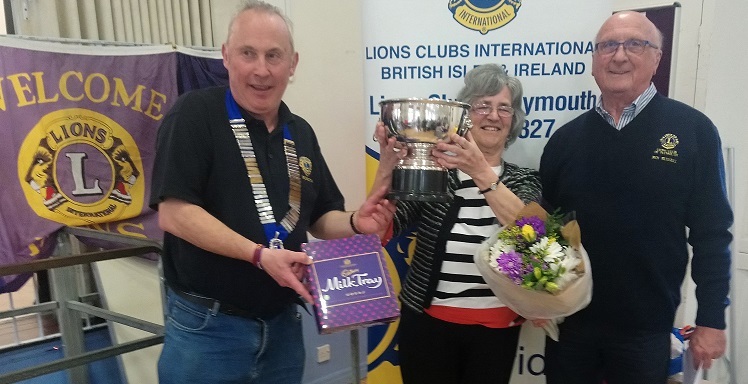 The Lions Club of Plymouth and the ladies of Lions held their annual Sponsored Knitting Event at Emmanuel Church Hall, Mannamead, Plymouth on Saturday 13th April 2019 with a total of 53 knitting enthusiasts (both male and female) from in and around the Plymouth area taking part. The competition started at 10.30 am and finished at 3.30pm, during which time 278 squares were knitted and checked as completed. Each square being 32 stiches and 28 rows, knitted on size 8 (4mm) needles. The squares will now be sewn together to make blankets and throws of various sizes and distributed to Homes, Hospitals and to needy individuals within the local Plymouth area, with some going to major disaster areas throughout the world. The two charities chosen to benefit from the sponsorship are Little Things & Co and Meningitis Now (South West). 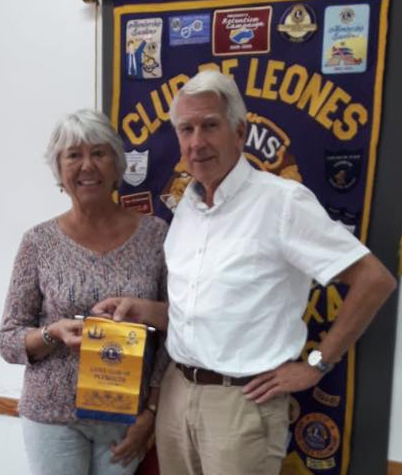 Both charities were represented at the event, Leigh-Anne Wright for little Things & Co and Yvette Beer for Meningitis Now (South West) and each gave a short talk upon their particular charity. The knitters were treated to continuous music, Tea/Coffee on arrival, a Pasty Lunch, with Jellies for sweet followed by afternoon Tea and Cake. 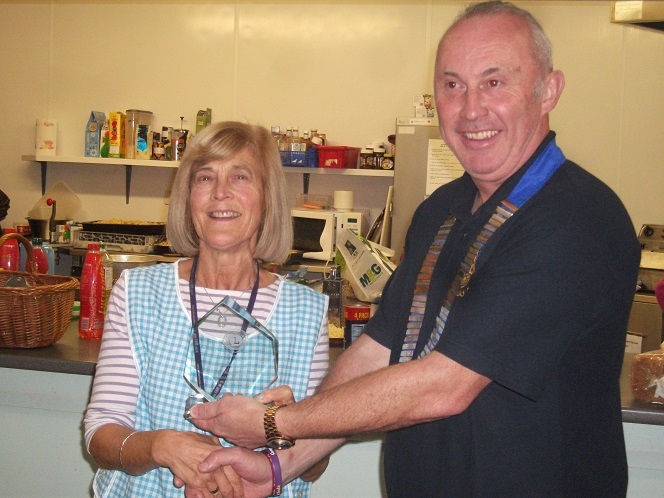 Mrs Wendy Constable received a Rose Bowl, Flowers and Chocolates for the most sponsorship raised at last years event. Mrs Carol Lloyd was awarded 1st prize of a large silver bowl, flowers and Chocolates for completing 9 Squares and 12 rows. Mrs Elaine Cooke was awarded 2nd prize of a silver cup, Flowers and Chocolates for Knitting 9 Squares. Mrs Wendy Thorpe was awarded the 3rd prize of Flowers and Chocolates for Knitting 8 Squares and 20 rows. Everyone had a goodtime catching up with old friends, nattering to one another with plenty of ‘Serious Klicking’. 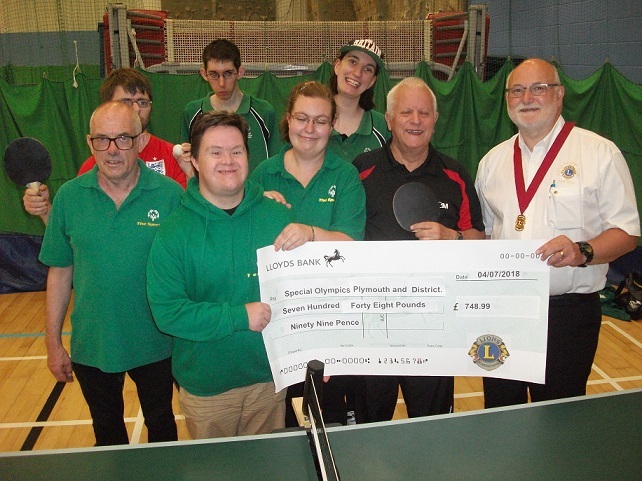 The monies raised from this event will be shared between the two main charities with a small percentage handed to other local Lion charities.The Lions Club of Plymouth thanks go to all attendees and we look forward to renewing acquaintances at next year’s event. Cheque Presentation to the Chestnut Appeal, Derriford Hospital. 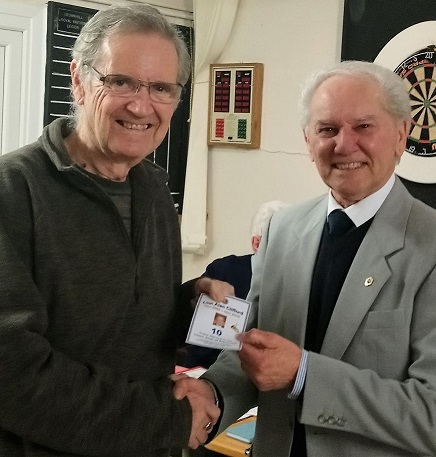 In late December 2018, Barry Willcocks, a loyal and extremely active former member of the Lions Club of Plymouth passed away after an extended fight against cancer. 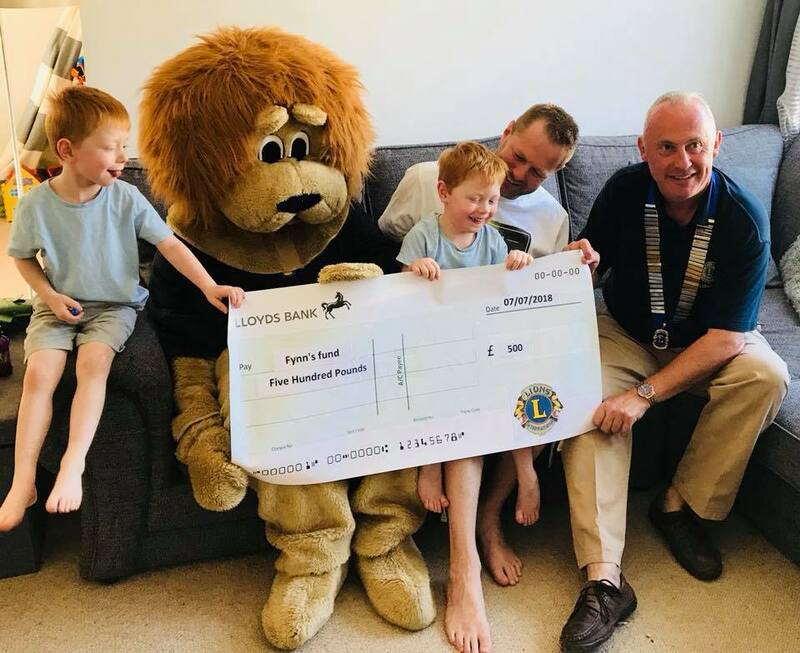 At his funeral on 18th January 2019 the retiring collection was graciously donated by Barry’s wife Debbie and Daughter Amy to the Lions Club of Plymouth, who agreed to pass these funds to the Chestnut Appeal at Derriford Hospital. 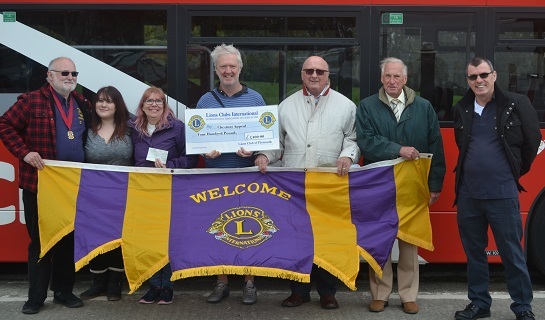 Barry, in addition to being a Lion, was employed by City Bus for many years and as a gesture of goodwill City Bus provided the backdrop of a bus at the presentation of a cheque to the value of £400.00 to David Squires of the Chestnut Appeal on Sunday 7th April, in the Park and Ride Facility Outlands Road. 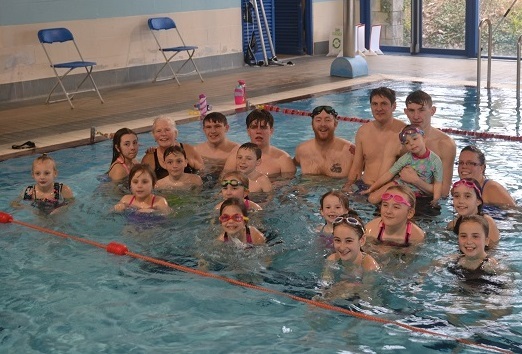 Barry’s wife Debbie and Daughter Amy accompanied by Vice President Lion George Poad and other members of the Club were there to remember Barry. Lion Barry was a member of the Lions Club of Plymouth from 1999 for nearly 15 years. In that time he threw himself and his family into Lionism always doing everything by the book and making a huge contribution to the Club. In 2014 he transferred to Saltash Lions and then, with decreasing health, to Tamar Lions. Barry had a big heart and will always be remembered as an outstanding Lion. was held in the Lord Mayor’s Parlour on Friday 15th February 2019. 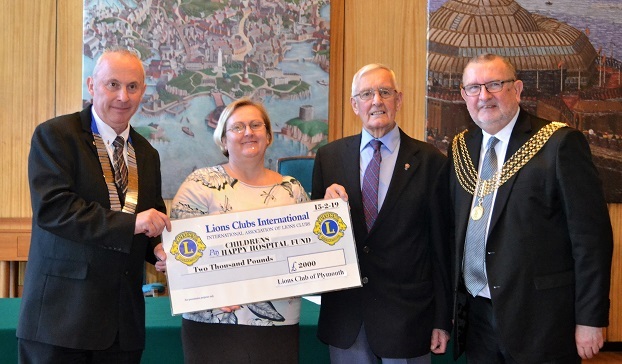 Matron Anita Dykes of the Children’s Happy Hospital Fund from monies raised by the Lions Club of Plymouth Christmas Collection at numerous Super stores over the Christmas period 2018, to the value of £2,000.00. 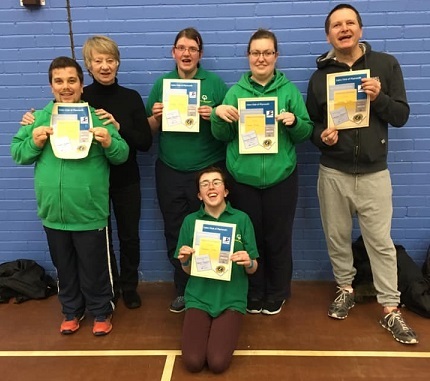 This money will be used to help with the provision of a room with a kitchen area and a dedicated eating space as well as a soft seating area to create a recreational room for parents to unwind and support each other whilst still being close to their children, in association with other relaxation and recuperation facilities. 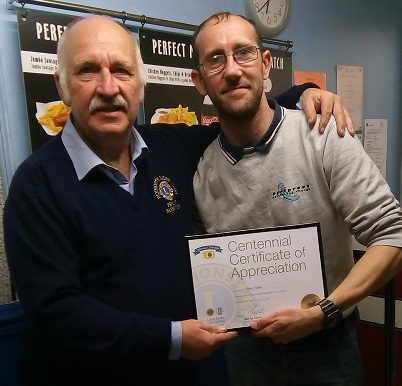 Lion Jeff received a limited edition silver centennial pin (part of the LCI Centennial membership awards program) from his sponsor Lion Colin at January meeting. We pop along to Shekinah Mission tonight and surprise Hilary with her Plaque for outstanding community service. 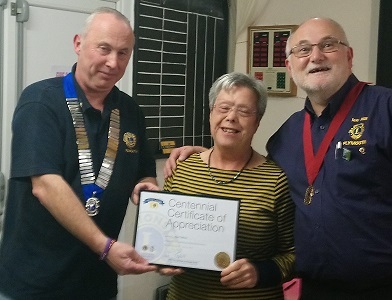 She was busy preparing pasta bake for tonight soup run but delighted to receive the plaque from Lion President Graham. 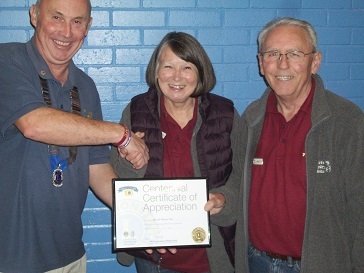 Alan and Maureen Stockdale of Plymouth and District Special Olympics receiving their Centennial Certificate of Appreciation from Lion President Graham Hyde. 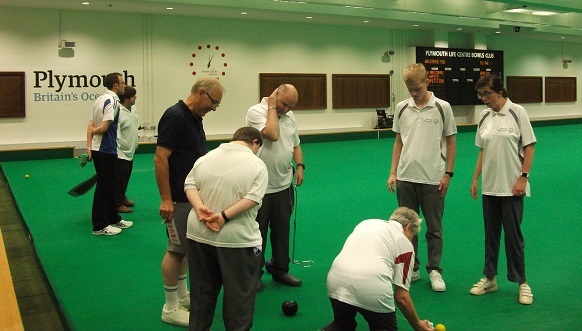 Plymouth Lions assisted SOPD at the Regional bowls championship at Plymouth Lifecentre.